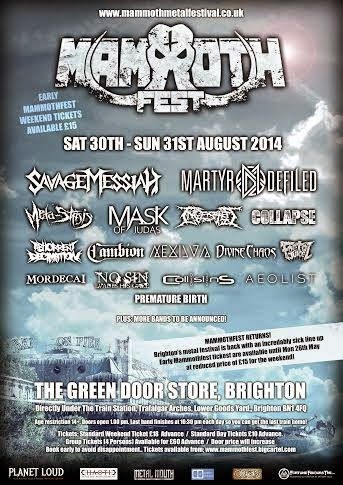 MammothFest Brighton New Line-up Annoucement! Aeolist and Premature Birth and with at least 6 more bands still to be announced! Check out the video below of one of new acts added, Collisions to see what's in store! Mammothfest Makes Mighty Return to Brighton UK!